There are two artists at the BBQ festival this weekend that only use recycled trees. Both make beautiful, eco-friendly wood products. First, there’s Mr. John Orlando of Anvil Board Company. Mill on Wheels custom saws all the maple, ash and walnut he uses for his gourmet cutting boards. These trees were given to us by generous locals who knew someone would put them to good use. John has built his business on your treecyled materials. The second woodworker who prides himself on only using “dead or downed” trees is Don Mobley of Botes & Stuff. 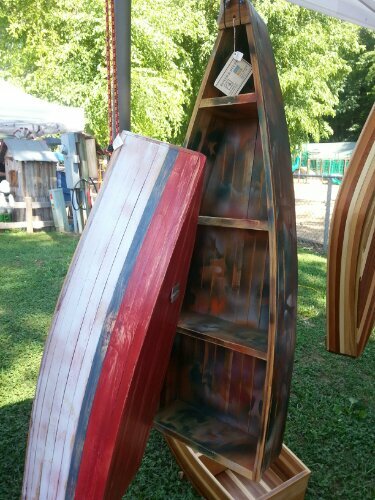 He creates gorgeous canoe display cases, wood trivets and colorful boxes. Don sources is trees from his own property, neighbors and eco-conservative friends. I’d like elaborate on the vital role landowner’s play in these two businesses. People assume since they give us their downed tree for free, when we sell that wood, we’re making out like bandits. This isn’t true. We still have to pay the fuel, vehicle wear, employee time and other costs involved to retrieve the tree. We also save the landowner as much or not more money on tree removal than we would have paid for the wood. However, the retrieval costs are usually low enough to allow us to sell people like John and Don materials at a reasonable price. This, in turn, lowers the price you (the consumer) has to pay for their products. This allows them to sell more, keeping more American jobs secure and more small businesses thriving. I’d like to say thank you to the folks who believed the power of ONE and called us instead of trashing their trees. One homeowner, ONE landowner, ONE tree made all the difference to these business owners. If you’re that ONE person who has a downed tree (especially one with special meaning to you) these guys do custom orders from your wood. 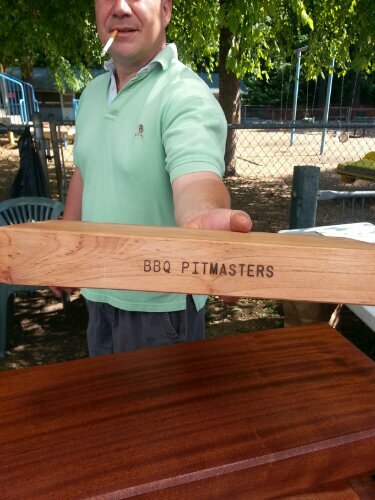 Give them a call and turn that fallen tree into a heirloom.